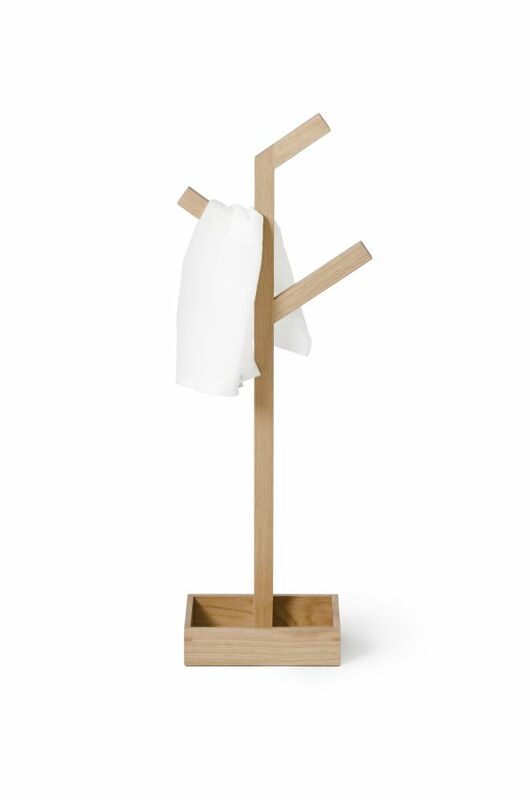 Compact and functional -'Branch' will fit into any nook or cranny and happily keeps your belongings off the floor. Do you ever wish you had somewhere close at hand to hang a towel, clothes or pajamas? Compact and functional -'Branch' will fit into any nook or cranny and happily keeps your belongings off the floor. Made from sustainably harvested, solid American white oak - natural or dark finish - with a matt, water resistant lacquer. The white variant is made from a wood core construction finished with a shiny, super gloss, water resistant lacquered coating. The bamboo variant is made from sustainably harvested, honey colored bamboo from the Angie Mountains of China. All edges are crisp and sharp, but finely hand sanded to make them soft to the touch.